Supreme court registrar has been put under siege as both the offices of the ethics and Anti corruption and the director of criminal investigations have both met to investigate the into the conduct of Esther Nyaiyaki. This is after a letter from a citizen known as Rashid Mohamed to the ethics and Anti corruption commission questioning the validity of the report presented to the supreme court after Njoki Ndung’u stated that she had gone through all the forms presented and did not find fault with them as they were signed and bore all the security information. 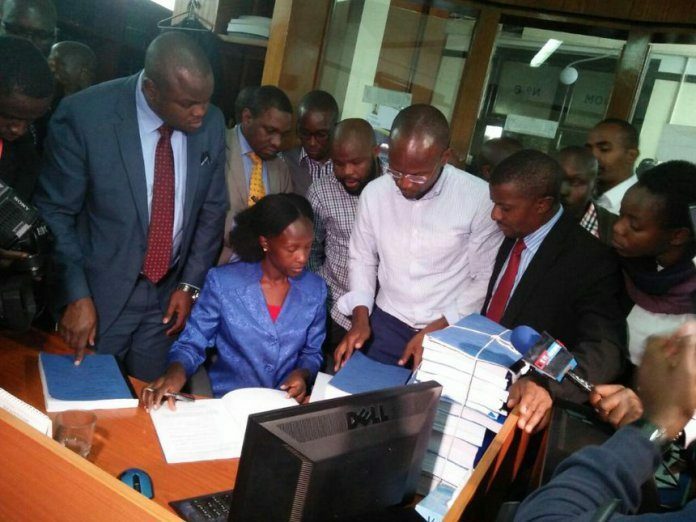 The letter said that the forms presented by the IEBC 48 hours before the petition to the supreme court were allegedly different from those that were examined by the registrar upon the courts order. The Ethics and Anti corruption commission said that the meeting with the DCI would give a way forward as to handle the situation.